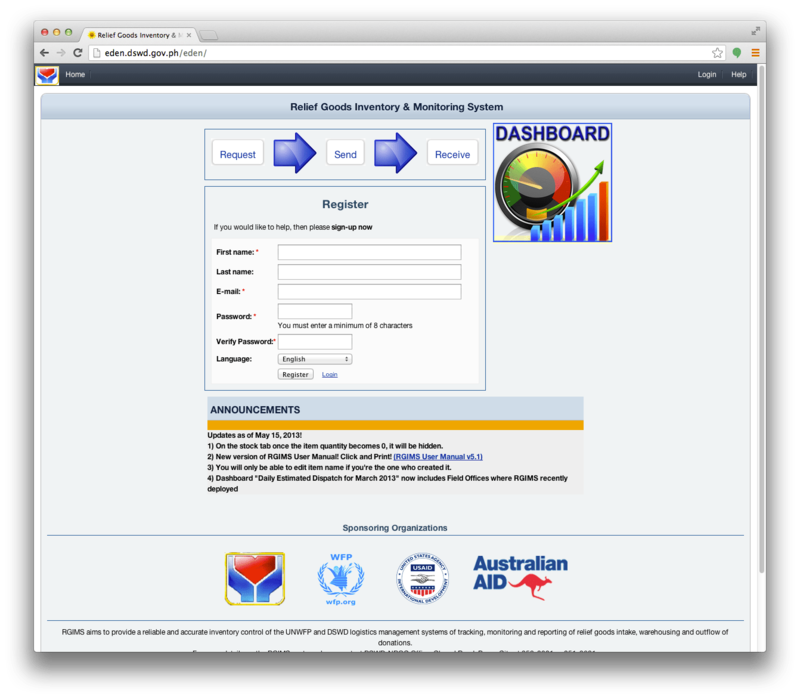 In 2012 a the Department of Social Welfare and Development (DSWD) in the Philippines implemented a Relief Goods Inventory & Monitoring System (RGIMS) using the Sahana Eden Open Source Disaster Management Software. A technology transfer program involving virtual trainings, workshops and ongoing support was run in partnership with AidIQ and members of the Sahana Community. 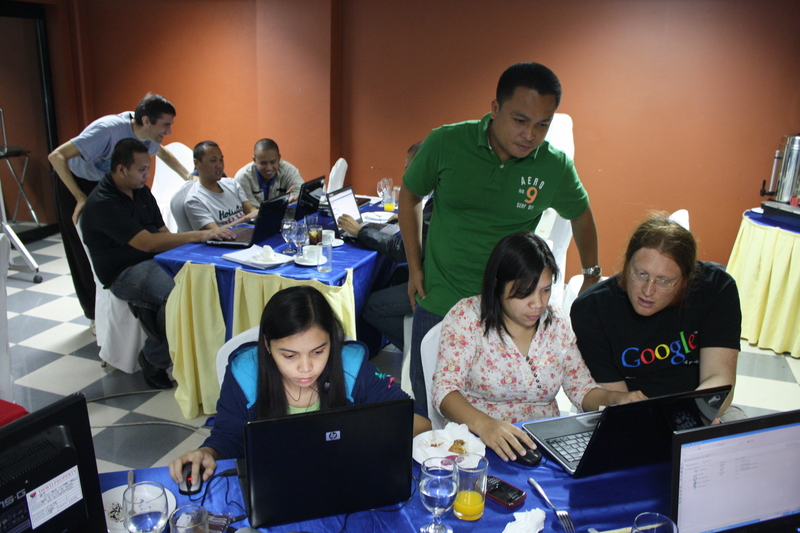 At the end of this program the DSWD technical team had implemented their solution. Following Typhoon Haiyan, we reached out to DSWD to see if they needed any support and found out their deployment teams in the disaster areas wanted to use RGIMS to receive relief goods on behalf of external organisations. Members of the Sahana Community, Graeme Foster and Fran Boon were able to implement a solution for this in less that 24 hours and the next day this was deployed to DSWD’s Servers! It’s great to see collaborative power of Sahana’s Open Source Software and community helping our colleagues at DSWD respond to Typhoon Haiyan.